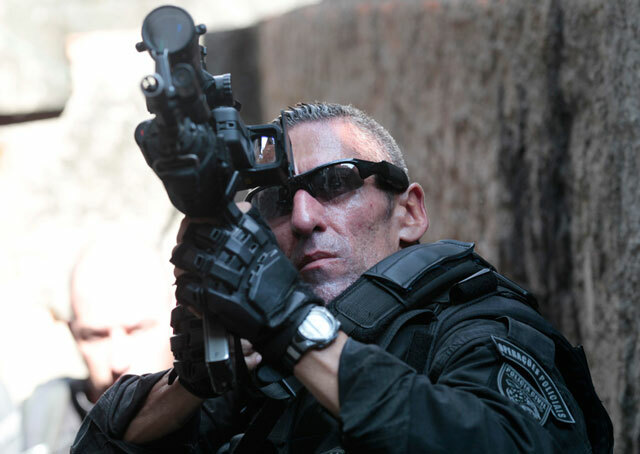 The haircut, the sunglasses, the multiple aiming devices, the laser, the gloves etc… That guy is the definition of Tactical. I bet he pisses Hoppes and shits picatinny rails. A single tear would roll down the cheek of RTT CQB Man if they were ever to find themselves in the same room. Including several of Masden guns that are still being used by the Brazilian State Police or a Local Constabulary. Most of the units have modern rifles but a few like and still use the Masden. This has got to be the gun that has the longest official use going, 114 years by my count. What are the rifles with the long barrels? I think you might be referring to the FN FAL (http://en.wikipedia.org/wiki/FN_FAL). I know that all the ink and video is going to Mexico’s drug war, but Brazilian authorities have been battling nastier gangs for over a decade now. Those cops are ballsy as hell. Alright, I have a question. Like most people I have never used side-mounted optics “for real.” But it would seem to me like you wouldn’t want a holo sight on the side of the weapon, where your peripheral vision is going to be blocked…that would be more compatible with the scope, I would think. Can anybody offer the reasoning for this officer’s optics config? I’ve seen offset dot sights used with scopes like this (http://www.thehighroad.org/showthread.php?t=537023), but maybe it’s got quick disconnects. They will hold their zero either way. It just seems awkward if he’s a right handed shooter and has the holo sight on the left. My guess is that it could make shooting prone easier without the magazine in the way; possibly for shooting under vehicles or curbs. Due to the parallax free design of the EoTech, this is totally doable. The special I saw on these type of units in Rio shows the area as a daily war zone against the cartels. Could be a natural reaction to needing to adjust to the close quarters urban style warfare within the favelas. Still just a theory on my end. Hopefully this blog can draw some readers from the region within such units to explain. Is it just me, or does that look like Obama? LOL yea he does look like Obama.